Karen Vipperman is the wife of Howard Vipperman who was elected to the La Habra Heights City Council in 2006 and re-elected in 2010. Howard Vipperman was La Habra Heights Mayor in 2009. She is the mother of 3 children: Jameson, Heather and Jeremy, and the proud grandmother of 15 beautiful grandchildren. 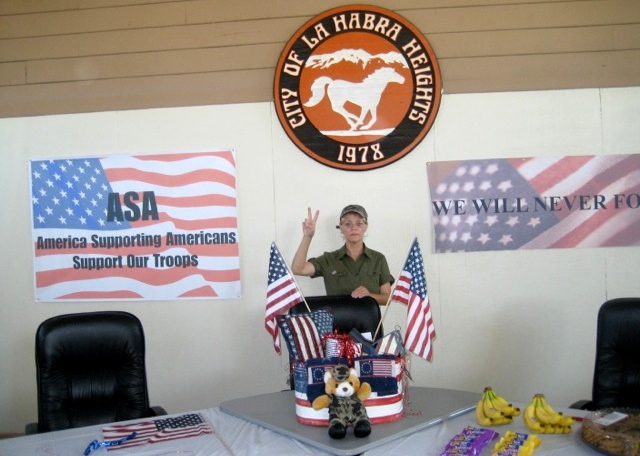 Howard and Karen Vipperman owned a ranch in beautiful La Habra Heights. Throughout the estate were an avocado grove, a hiking trail, two bridges crossing over a running stream, a tennis court, a playground, an olympic size pool, two guest houses and a main house. Their property included animal corrals and a collection of animals that included llamas, goats, pigs, turkeys, chickens, rabbits, ducks and dogs. It wasn’t unusual for Karen to take in rescue animals until appropriate placement was found. Some of her animals were involved in community events. Karen’s favorite rescue animal was a two day old fawn that was found injured in Puente Hills. A Los Angeles Sheriff called Karen at home one evening, knowing she took in animals. He asked if she could take it in until arrangements were made to put it in a rescue refuge. Karen happily took in the fawn, which her grandchildren named Bambi. Karen has a strong Christian faith in God and desire to serve the community. She is also deeply patriotic. Karen has been and continues to be very active in local politics. She currently attends Friends Church in Yorba Linda and Influence Church in Anaheim Hills. She was previously a long time member of Fullerton First Presbyterian Church.